Oppositional Defiant Disorder (ODD) is one of two pediatric behavioral disorders defined by the Diagnostic and Statistical Manual V (DSM V) that are included as qualifying disabilities in the Individuals with Disabilities Education Act (IDEA). While not as serious as Conduct Disorder, whose symptoms include aggression and property destruction, ODD still compromises a student's ability to succeed academically and develop meaningful relationships with peers and teachers. Students diagnosed with ODD may be found in general education settings if it is determined that the disorder does not prevent them from participating fully in the general education classroom. It is also possible that some students with ODD in programs for Emotional Disturbances can manage their own behavior well enough that they can successfully be integrated into general education classrooms. A mental health professional would only make an ODD diagnosis if the above symptoms occurred more frequently than they do in a comparable age or developmental group. 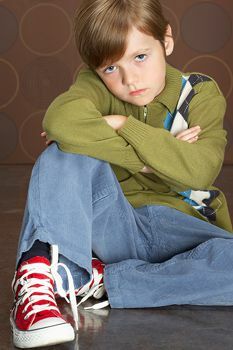 Fifteen-year-olds often argue with adults, and they can be touchy or easily annoyed, but a 15-year-old diagnosed with ODD would be significantly more argumentative or touchy in a way that affected their day-to-day functioning. The DSM V notes that a significant number of children seen in a clinical setting for Attention Deficit Hyperactivity Disorder (ADHD) are also diagnosed as having ODD. The manual also notes that many children with impulse control problems are also frequently diagnosed with ODD. A Structured Environment: Some assumptions about how a classroom should be organized may be inappropriate for students with ODD. Seating arrangements that put children into clusters of four may be fine in settings where children are raised with high expectations but may create too many opportunities for disruptive behavior among children with ODD. Students with ODD often use seating arrangements as occasions for high drama that are much more about work avoidance than interpersonal dynamics. Remember, your role is to be a teacher, not a therapist. Seating students in rows or pairs is often the best way to start the school year. Routines: Unlike strict rules, routines make expectations clear in a way that is value-neutral. Instead of creating a rule that says "Never get out of line," create a routine where students get used to standing in line, walking without touching or bothering their neighbors, and getting quickly and quietly to their destination at school. Establishing routines means being pro-active, and planning thoroughly what your classroom expectations will be. Where will students place their backpacks? Will they be able to access them during the day? Only before lunch? How does one get the teacher's attention? Do you raise your hand, place a red cup on top of your desk, or hang a red flag from your desk? Any one of these options could help create a routine that works well in a structured class. A Reinforcement-Rich Environment: Pay attention to the things your students like or think are important. Most boys (the majority of children with ODD) love free time on the computer, and most schools block access to objectionable sites. 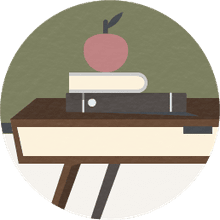 Let students earn their time on the computer by completing academic tasks, by earning points for appropriate behavior, or by reaching behavioral or academic goals. A Calm and Collected Teacher: The function of the behavior associated with Oppositional Defiant Disorder is often to engage people in authority in a tug of war or power play. As a teacher, the most important thing is not to engage in a battle that no one will win.